“Hadley our teenage heroine has many of the insecurities, which inflict most of us at this young age…A lovely story, with some good lessons about friendship, self-esteem and relationships, perfectly pitched for teen/young adult readers.” From author Jane Hunt. “…Hager's main character is representative of every teenage girl. The author really nailed the reality of a young girl's early high school years. I think this is a valuable read for girls ages 12-18.” Review from Readers’ Favorite book reviews. They like me...they like me not. Hadley Daniels is tired of feeling invisible. After Hadley’s best friend moves away and she gets on the bad side of some girls at school, she goes to spend the summer with her grandparents in the Lake Michigan resort town of Grand Haven. Her next door neighbor is none other than teen TV star Simone Hendrickson, who is everything Hadley longs to be—pretty, popular, and famous—and she’s thrilled when Simone treats her like a friend. Being popular is a lot harder than it looks. It’s fun and flattering when Simone includes her in her circle, though Hadley is puzzled about why her new friend refuses to discuss her former Hollywood life. Caught up with Simone, Hadley finds herself ignoring her quiet, steadfast friend, Charlotte. He’s sweet, good-looking, and Hadley can be herself around him without all the fake drama. However, the mean girls have other ideas and they fill Nick’s head with lies about Hadley, sending him running back to his ex-girlfriend and leaving Hadley heartbroken. So when her parents decide to relocate to Grand Haven, Hadley hopes things will change when school starts…only to be disappointed once again. 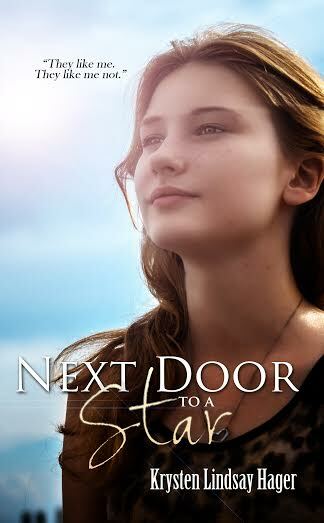 Next Door To A Star? Krysten Lindsay Hager is an obsessive reader and has never met a bookstore she didn’t like. 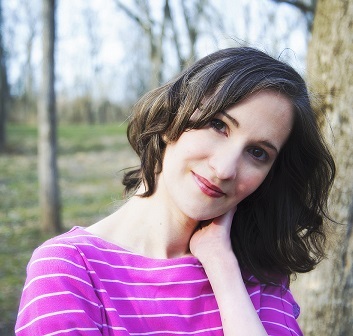 She’s worked as a journalist and humor essayist, and writes for teens, tweens, and adults. She is the author of the Landry’s True Colors Series and her work has been featured in USA Today and named as Amazon’s #1 Hot New Releases in Teen & Young Adult Values and Virtues Fiction and Amazon’s #1 Hot New Releases in Children’s Books on Values. She’s originally from Michigan and has lived in South Dakota, Portugal, and southwestern Ohio. She received her master’s degree from the University of Michigan-Flint. 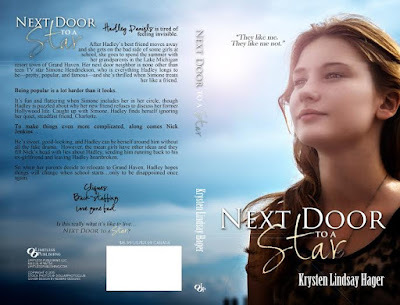 Follow Krysten Lindsay Hager's board Next Door to a Star on Pinterest. 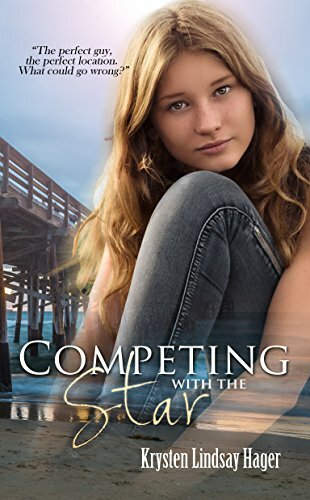 Competing with the Star (Star Series: Book 2) The perfect guy, the perfect location. What could go wrong? Before the beginning of sophomore year of high school, Hadley and her family move to a beautiful beach town, where she makes amazing new friends and lands the boyfriend of her dreams—Nick Jenkins. He’s the kind of guy every girl swoons over, and it isn’t long until Hadley discovers some are still swooning. After some time dating, Hadley and Nick form a deep bond. But insecurity sets in when Hadley discovers her boyfriend once had a huge crush on her friend—who just happens to be the beautiful former teen TV star, Simone Hendrickson. Hadley confronts Nick, who confesses about his history with Simone. Though he claims to only have eyes for Hadley now, it’s hard to believe—especially when she’s blindsided with the news that Nick and Simone kissed after school. Now Hadley must determine who is telling the truth. Love, betrayal, friendship…who needs soap opera drama when you’re busy competing with a star?